Not using your vehicle anymore? Trade it for cash! 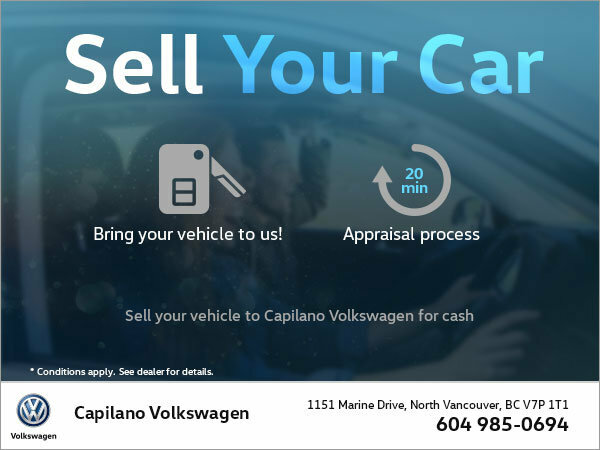 Bring your car to Capilano Volkswagen and get it appraised in only 20 minutes. Once you've received the free Capilano Volkswagen appraisal, you'll be able to make an informed decision!